I have been building a new desktop workstation based on an AMD Ryzen Threadripper 1950X processor (which I will be describing in much more detail in a subsequent blog post). 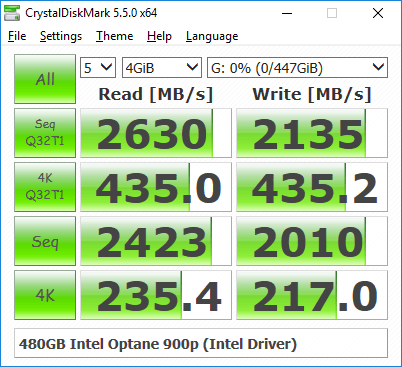 I am planning on using one of the brand new 480GB Intel Optane SSD 900p PCIe cards as my boot drive. Initially, I installed Windows 10 Professional, Version 1709 on a pretty lackluster OEM 256GB Toshiba M.2 NVMe drive that I had lying around. My plan is to clone that drive to the Intel Optane 900p. 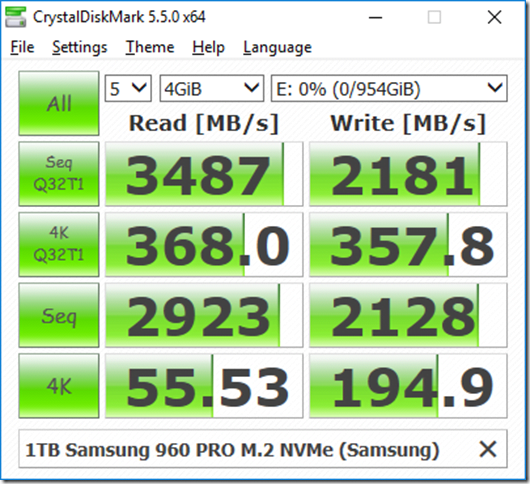 I also have a couple of 1TB Samsung 960 PRO M.2 NVMe cards in this machine, so I thought I would run a couple of quick CrystalDiskMark tests on the two drives. 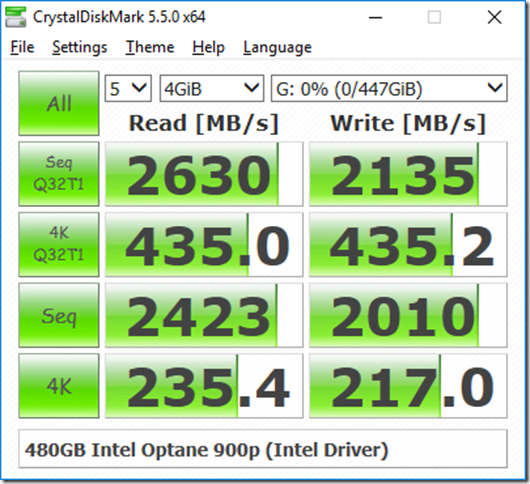 One thing to keep in mind is that CrystalDiskMark is not the best synthetic benchmark to use to show off the strengths of the Optane 900p. 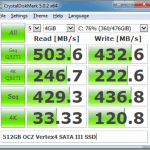 Traditional NAND-based SSDs excel at very high queue depths that are not usually encountered outside of synthetic benchmarks (especially for random read performance). 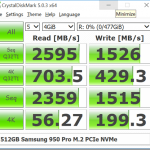 Optane 900p SSDs perform extremely well for random reads at low queue depths. This gives you outstanding responsiveness and performance where it is going to be most noticeable in daily usage. You can see part of this effect in the bottom row of CDM test results for reads, where the Optane 900p is doing about 4.3X more 4K IOPS than the Samsung 960 PRO at a queue depth of 1. A better test for this will be Microsoft DiskSpd, which can also measure the latency during the test run. Here are some of the primary advantages of the Intel Optane 900p compared to current NAND flash storage. Beware of the Native Microsoft NVMe Driver! Would you mind posting results of the Optane 900p from your threadripper 1950x build? Figure 2 in the blog post shows those results already. I have same cpu and same optane900p but 4k result is 150 and no way to do better. What your mb? you have normal config? 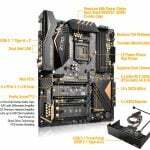 I have an ASRock X399 Fatal1ty Professional Gaming. 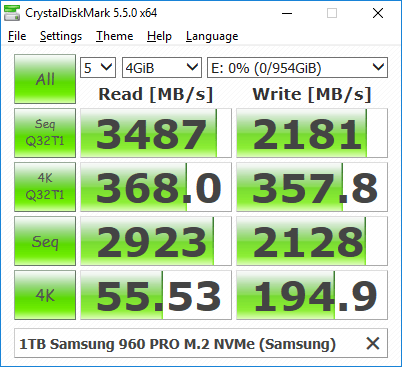 I am using the Intel NVMe driver.